Diana is a huge fan of Chinese culture. Chinese dramas are some of her favorite series to watch. 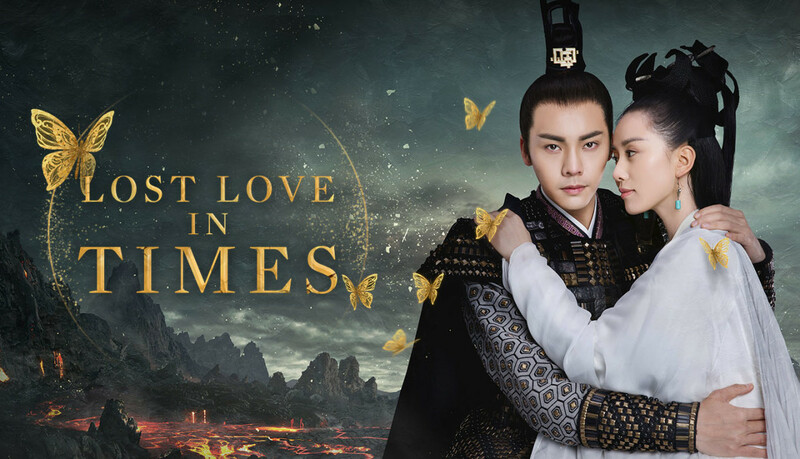 Are you a fan of Chinese historical dramas? 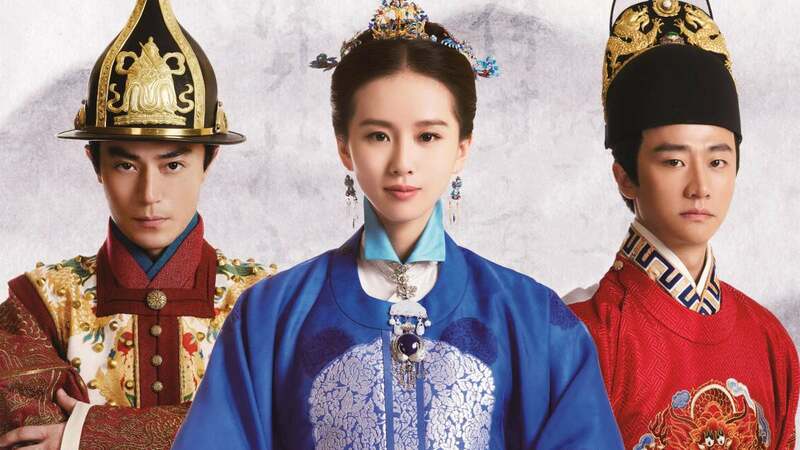 Here’s the list of the 22 best Chinese historical dramas you can’t ignore. This list can be of great help not only for those who are addicted to this genre but also for those who have no idea what it is. Tell me what series you like the most in the poll below. Also, remember that you can always share your thoughts in the comments section! The story of this Chinese drama takes place in the Tang Dynasty and centers on a revengeful young man who wants to fight for justice. His family was literally slaughtered for no reason. The boy managed to escape and he survived in the wilds thanks to his wits and sometimes even cruelty. So, as you might have already guessed, the protagonist of this story is seeking revenge. Things become even more complicated, and hence, interesting after he meets a girl who later appears to be a mysterious reincarnation of a powerful being destined to bring chaos. Ever Night is an exceptionally beautiful C-drama: it has beautiful cinematography, exceptional fight choreography, memorable action scenes, and characters! It couldn’t have been other way, as it’s based on Mao Ni’s novel of the same name that has a huge fan base. So, if you love adventure/action, and historical fantasy dramas, give it a shot! 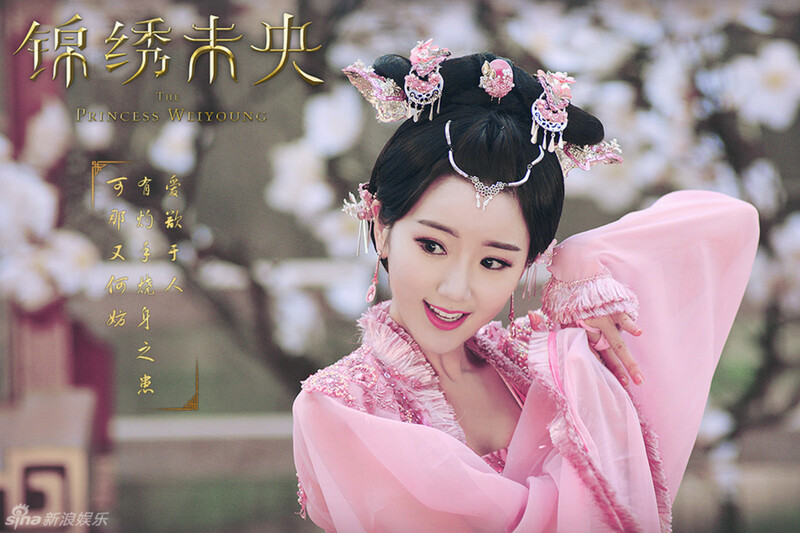 The Princess Weiyoung is also an adaptation from a novel. 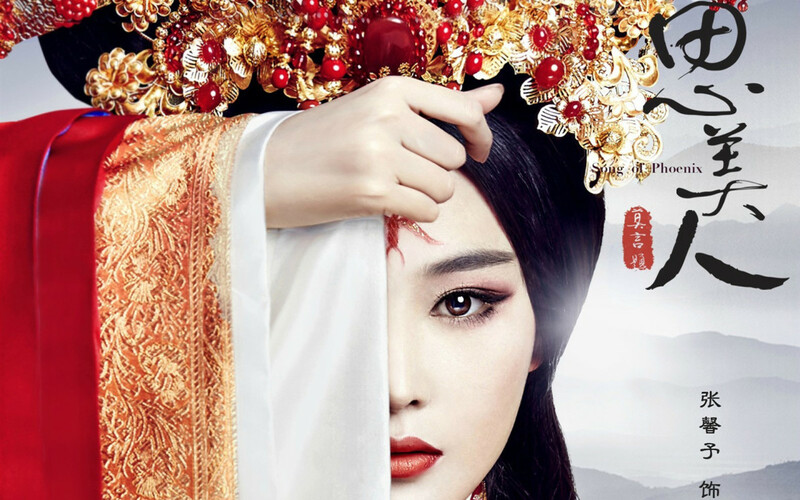 It is based on The Poisonous Daughter, Qin Jian’s novel about a real-life empress, but told in a fictionalized way. The story is set in the chaotic Sixteen Kingdoms period and tells us about Feng Xin'er, a kindhearted princess in the royal family. Because of the greed of others, almost the entire royal family is slaughtered, and the princess is left all by herself. The girl accidentally enters her enemy’s place and takes Li Wei Young’s identity (the daughter of Prime Minister). If you are looking for political plots, unpredictable turns and twists, you should check it out! And yet, despite the whole idea of vengeance in the story, all the obstacles, love, happiness is also present. 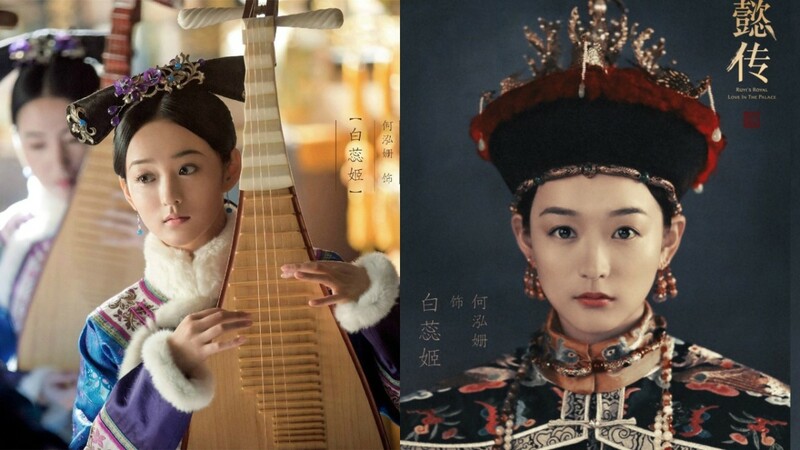 It’s really interesting to watch a Chinese historical drama where you see how women struggle (and so relieving to see when they succeed) at the era when they were considered nothing more than possessions. Based on Shi Siye's novel Drunk Linglong, Lost Love in Times is a beautiful combination of fantasy, romance and historical. So, this drama may be the ticket for you, especially if you love period dramas like Scarlet Heart or Ten Miles of Peach Blossoms and looking for something similar. It has a beautiful and mysterious fantasy theme, complex relationships, and charming chemistry between two leads! 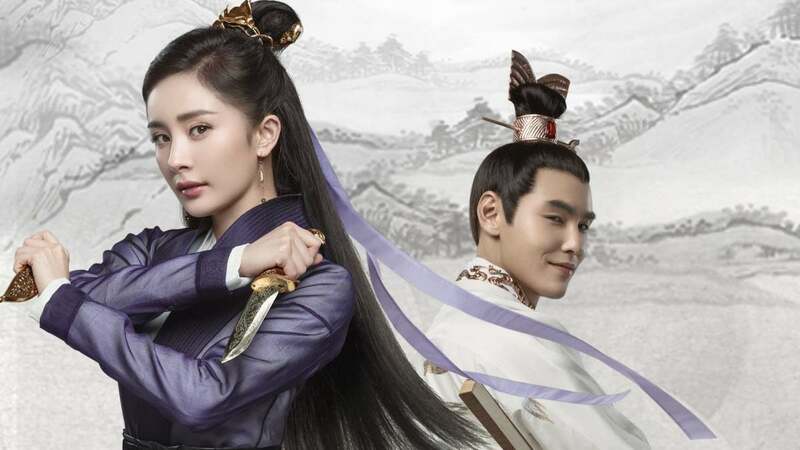 This Chinese drama centers on a beautiful love story between witch Qincheng and prince Yuang Ling of Wei. One day the emperor tries to kill the prince. However, he survives due to the help of the witch. He is beyond grateful to this woman and even ends up falling in love with her. Furthermore, they engage just in a few days and want to be married despite all the obstacles. Obviously, the state doesn’t approve a marriage. Will their romance spell disaster or they will be able to overcome everything on their path and be happy anyway? 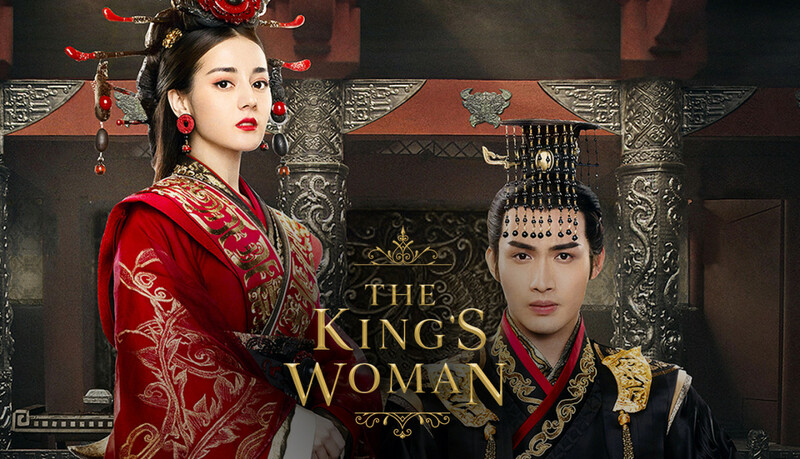 This historical tells the love story between Kang Xi, the young emperor of the Qing Dynasty and the last princess of the Ming Dynasty. Since Kang Xi became an orphan, a regent had to ascend the throne. The tyrannical government starts spying on every movement of Kang Xi and does whatever is possible to avoid him gain his power. A young heir to the throne keeps distance with the majority of people; he has never ever experienced such feelings as love or true friendship. 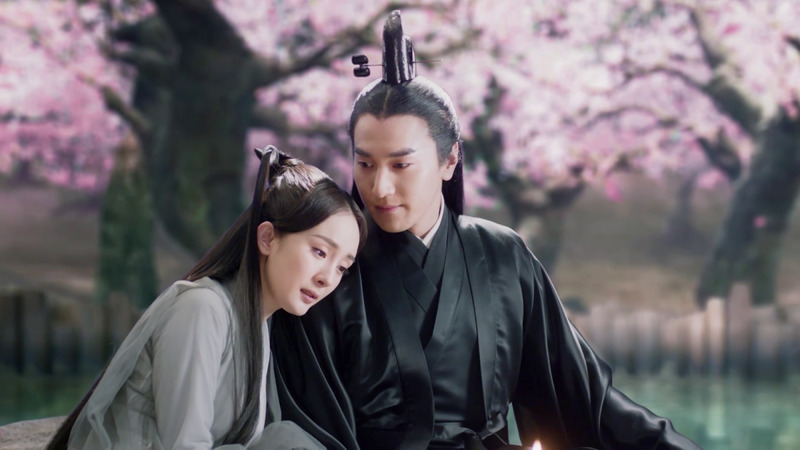 That’s he becomes so attached to the princess Yi Huan, who treats him as equal. Check out Legend of the Dragon Pearl and it will become a real emotional rollercoaster for you: it will make you laugh loudly and cry a river at the same time! 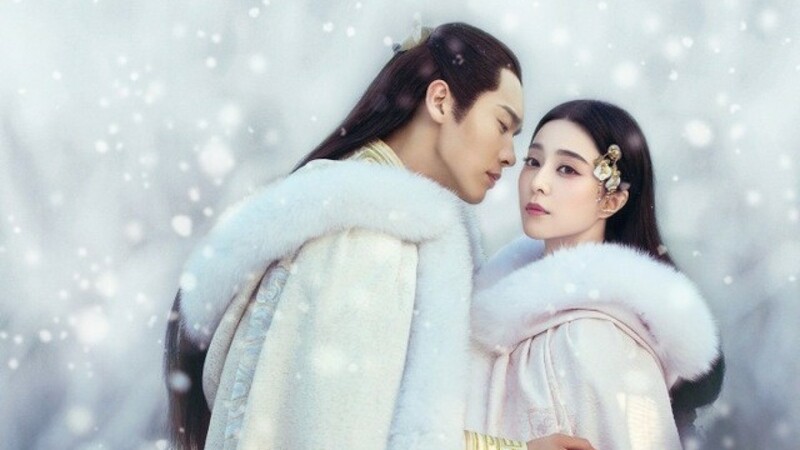 Adapted from the novel Hou Gong Ru Yi Zhuan by Liu Lianzi, Ruyi's Royal Love in the Palace is about the marriage of Qianlong Emperor and a Step Empress. You will be immersed into the empress life that is paved with treachery. Even though she moves up the ranks, even after becoming the empress, she still has to overcome the challenges in order to survive. However, this beautiful show is not only about palace intrigues and politics. First of all, it’s about love between the emperor and empress and the evolution of their relationship over the years, from their young ages to their last days. The period drama also reveals the insecurities of the woman in a harem and does a good job in illustrating different motivations of their actions. Based on the Liang Zhenhua's of the same name, Song of Phoenix focuses on the legendary Chinese poet Qu Yan during the troublesome Warring States Period. The prodigy was born into a good, prosperous family but falls in love with a girl of the class below him. Actually, the girl is a slave. Probably, you think such class-breaking relationship is doomed from the start, at that time, society didn’t approve such things. However, they are stubborn and desperately in love. The two of them are ready to go through countless obstacles, be entangled in politics and terrible schemes to be together. It’s also the story of how the prodigy tries to save his country. Are you intrigued? So why don’t you go and watch it? 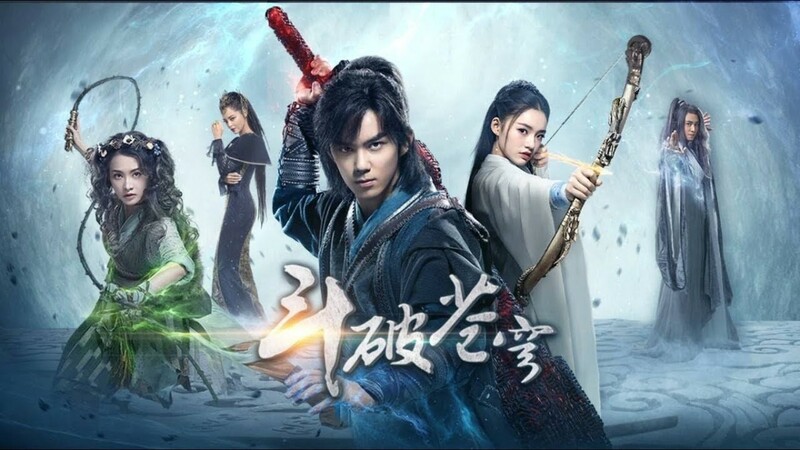 Give a try to this amazing Chinese TV series! Adapted from Feng Nong's novel A Lonesome Fragrance Waiting to be Appreciated, General and I tells a beautiful heart-wrenching story. It’s a perfect story about love, even with its imperfections and challenges. 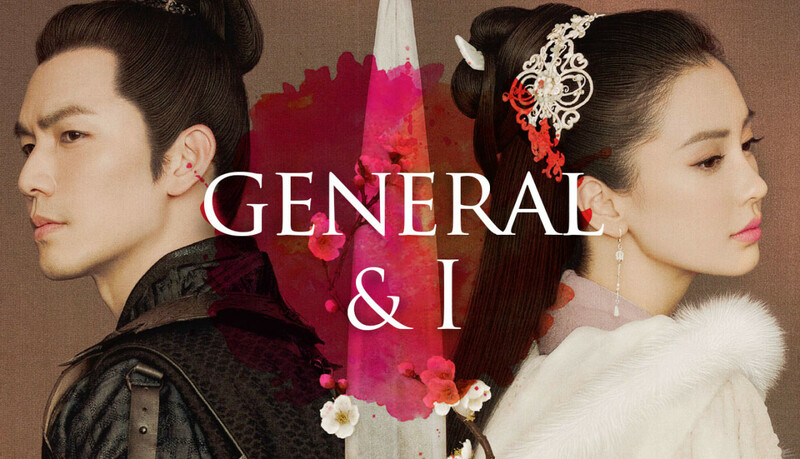 The period drama centers on two intelligent war mastermind rivals: a brilliant female strategist and a prince-general, aka the God of War. Belonging to rival kingdoms, the two of them must choose between loyalty to the country and their unconditional love for each other. Basically, that’s what the story is about, but the drama itself is much more than that. It’s about the sacrifices loved ones make for each other, the sacrifices for country, and family. This Chinese historical TV series will definitely have you hooked to your seat from beginning to end! Fights Break Sphere is adapted from the xianxia novel Battle Through the Heavens. The historical series is some kind of a mix between fantasy and wuxia set in ancient China. It centers on a genius child who hasn’t made any progress in martial arts because of his mother’s summoned ring. Until one day, when the guy encounters an old man who helps him make great progress and what’s more, he learns who’s behind the assassination of his family. If you are in search of some series about superpowers, defeating enemies, saving the world and similar stuff, check it out! The female lead in Colourful Bone is highly skilled in changing people’s faces. She uses her talent to help those in need but also gets herself into trouble. Go and watch the series if you like heart-wrenching stories of love and hate and if you want to see whether such a skill brings good or evil for those who use it! 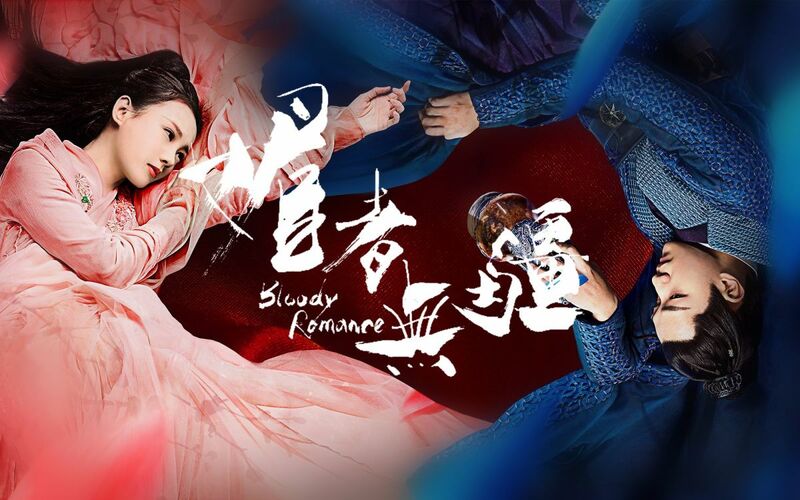 This Chinese drama is pretty long, but it will keep you glued to the screen all the time! Adopted from the novel Heavy Sweetness, Ash-like Frost by Dian Xian, the series takes place in ancient times and centers on the beautiful love story of two prisoners – Heavenly Emperor’s son and Flower Goddess’ daughter. 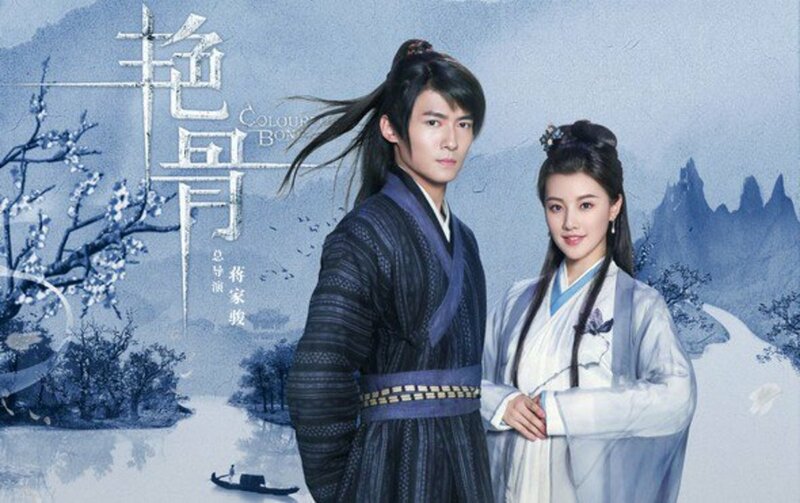 Ashes of Love shows us how true love is strong, how it can overcome obstacles. If you are looking for epic battle scenes, loyalty problems, family stories, power struggles, definitely give it a shot! It’s literally packed with everything you need! Do you like betrayal, revenge, love triangles, and countless intrigues? Well, you are looking for a historical series, so of course you do! The King’s Woman is not an exception; it also has enough such things to keep you interested. 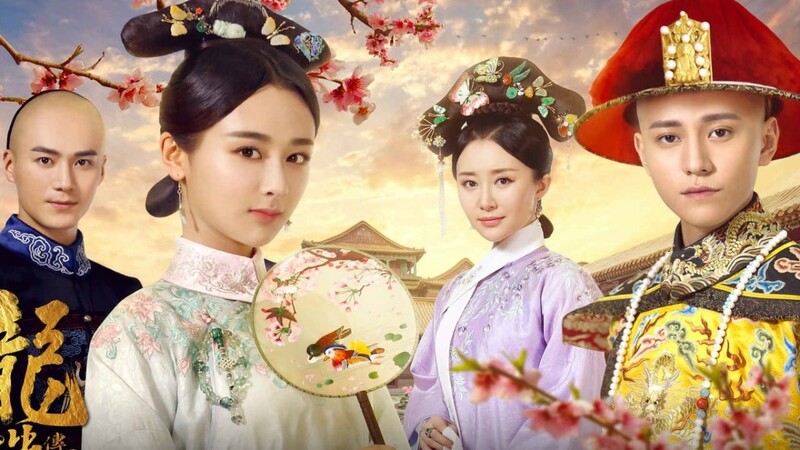 Even though the main story is about the First Emperor of China, the story also centers on SunLi, the daughter of a military commander who leaves her home and enters the palace. The time comes and she marries, her life in harem gets harder, but she must learn to fight for respect. The show focuses on romance primarily, so if you are not a big fun of palace politics, you won’t be disappointed! Do you like seeing the stories of strong women from the history books on the screen? Then you can’t miss this Chinese series! Legend of Lu Zhen tells us about an amazing strong-willed woman who works hard for her position. It’s about the first female prime minister! The plot already promises to be intriguing! Few mainland dramas can intrigue you like this! Le Zhen is a strong female lead here. She goes her own way. The girl enters the palace and quite quickly prompts through the ranks due to her pottery-making skill. Obviously, there’s also a good dose of romance. She steals the heart of crown prince! But they can’t be happy together because of her social status and enemies at every corner. However, even if she can’t be his empress, that doesn’t mean she can’t obtain the highest position in the land, right? 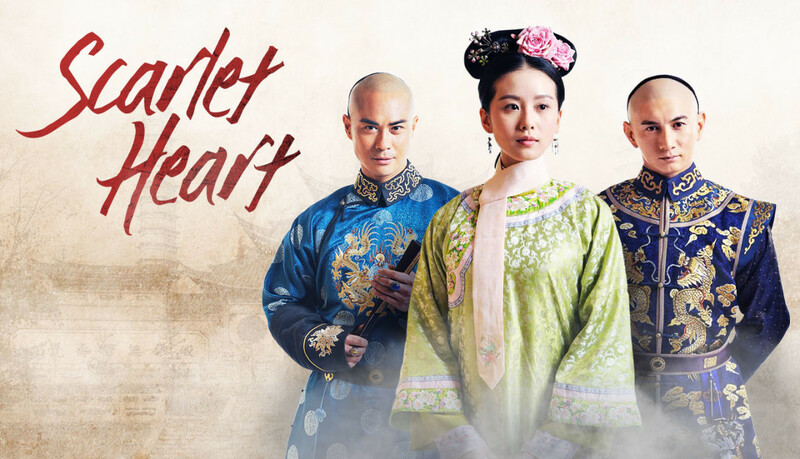 Here’s one more Chinese period drama telling you about the difficult life of a strong woman who goes against all odds, and that’s in imperial China! Set in the Ming Dynasty, The Imperial Doctress is about unstoppable Tan Yun Xian who comes from a family of court physicians. However, female practitioners are not that lucky at those times, they were framed for many things. Yet, the female lead is devoted to medicine, even if she has no choice but to keep it a secret. The things become difficult (and, well, more interesting, let’s say) when she gets to know the Emperor. You should know that this show covers more than 20 years in 50 episodes. Sometimes, in long dramas like this, it’s difficult to understand how much days or years are passing. Luckily, this series gives hints of how much time had passed, so that we get everything right. Sound of the Desert tells about a girl with no parents, no name or age. She is raised literally by wolves, in the desert. One day she meets her foster father and gets the chance to live in civilization. However, after her father is killed, she is forced to live in the desert once again. After some time, she is made to venture back to the civilized world again. At this point in her life, the girl crosses paths with two men: one of them she ignores and falls for another one, but is rejected. Who will she choose? We have a true love triangle here! The story focuses on the romance, so it will become an emotional roller-coaster for those of you who love such a genre! However, if you expect to see a lot of politics or revenge kind of show, you better skip this one. 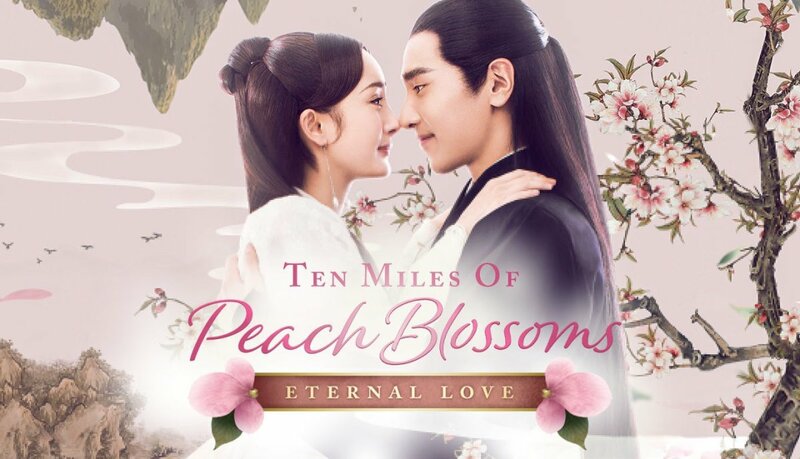 Ten Miles of Peach Blossoms (also called Eternal Love) is one of the most (if not the most) watched Chinese drama! 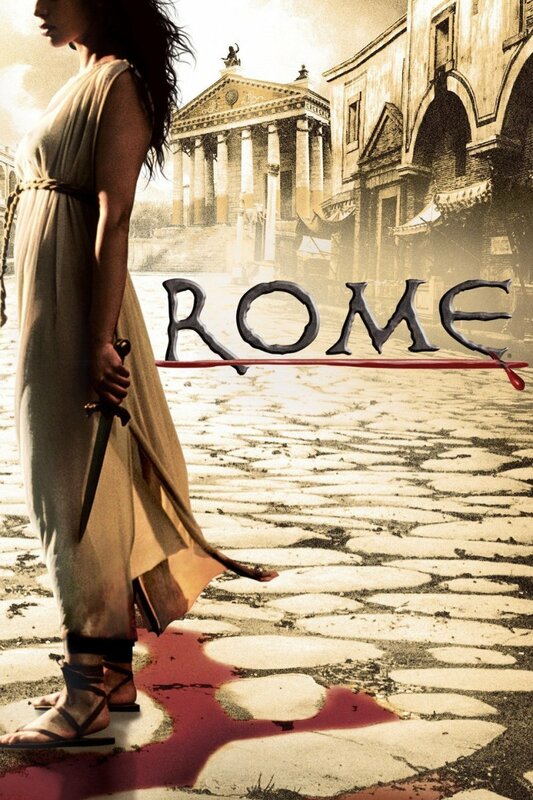 The series is adapted from the novel of the same name and tells you all about immortals, goddesses, gods, and demons! The romance here is mind-blowing, so you will enjoy it even if don’t consider yourself a fan of historical or fantasy kinds of genre! It’s all about love story stretching for thousands of years, for several lifetimes, to be precise. Dive into the show and you will know if the couple is destined to bear complicated love in three worlds, during different lifetimes, or not. God of War, Zhao Yun is loosely based on the 14th-century Chinese novel Romance of the Three Kingdoms, where Zhao Zilong, a great military general is the main character. Watching the series, we dive into the early Three Kingdoms period in China. The story generally focuses on the general’s life: you will know everything about his background, personality, about all his adventures and romances. Probably, it’s impossible to tell everything in detail in one TV series, especially, given the fact there’s always some adjustments in period dramas. 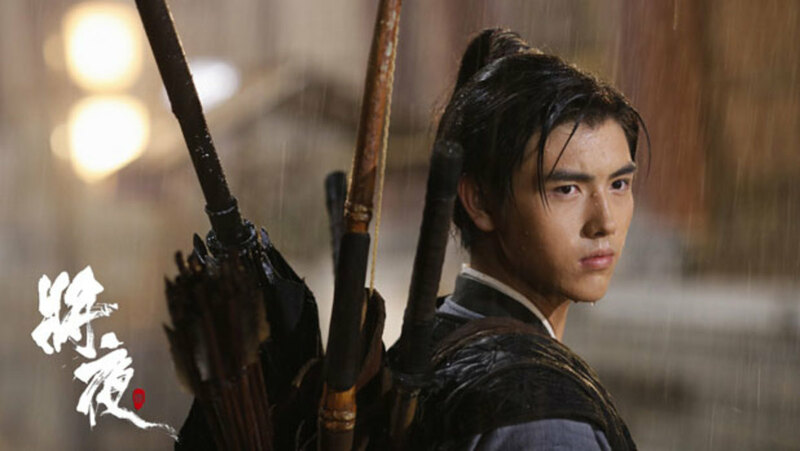 However, it does highlight the most important parts in Zhao Yun’s life, and you will surely get to know his love triangle, discover the battles of his heart! The Legend of Qin is based on Shen Leping’s animation series Qin Moon which was adapted from the novel of the same name. The drama takes us to the Qin dynasty time, chaotic but great times. The main story circles around a young hero, a boy who changes the course of the whole history. Follow the story of the strong protagonist of this story: he faces violence in the regime, cruel enemies, difficulties in relationships, love, experiences the end of one era and the beginning of another, new era, the period of great changes and brilliant achievements. You will love this historical if you are a sucker for series about strong and independent women defending and building themselves up stronger. 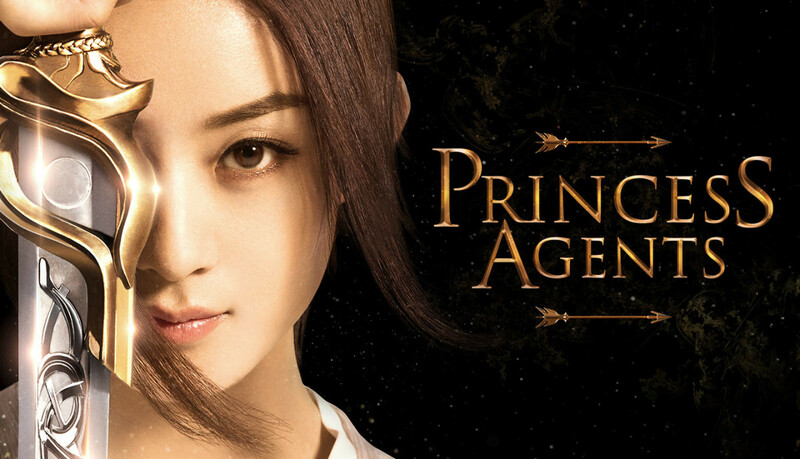 The main female lead in Princess Agent is a real badass lady: witty, brilliant, a great fighter, extremely loyal and determined. She can make sometimes dislike her, but her decisions are understandable most of the times. You will dive into the chaotic times of Wei, the period when innocent citizens can easily be turned into slaves. Our lead, a slave girl is one of those unlucky people hunted by rich lords. Luckily, she is saved by the Prince and brought into a rich family. However, witnessing their bloody struggle for power, she plans on fleeing from the situation. But she fails and has no choice but learn how to survive in this unfair world. This Chinese drama broke 1 billion views with only a trailer! The series suppressed even such popular dramas as Ten Miles of Peach Blossoms and Three Lives, Three Worlds! 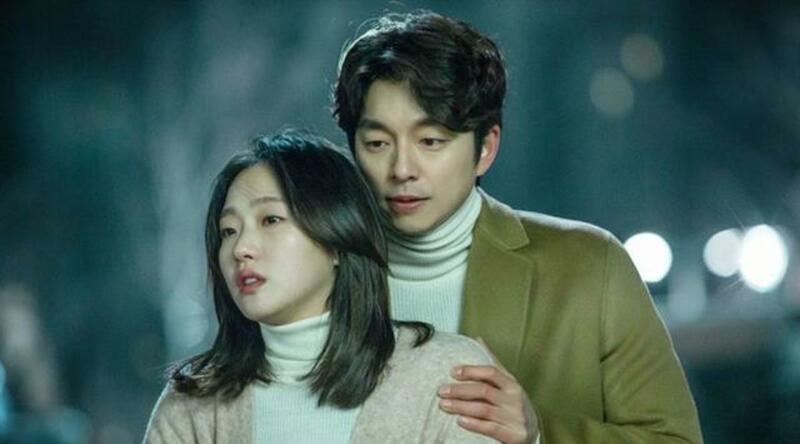 So, if you are a fan of war-like dramas with slow-paced romance, you can’t skip this one! When it comes to adaptations, Bloody Romance isn’t an exception. Like the previous Chinese dramas in the list, this one is also based on the novel. This is an amazing story about a woman who is fooled and ends up into a brothel. She must learn how to survive and soon turns into a cold-blooded assassin. She crosses her paths with murderers, psychopaths, and other crazy strangers. If you are into such a genre, give a try to this mysterious series! Scarlet Heart centers on a young woman from the 21st century who gets into a car accident and, as a consequence, travels back in time to the Qing dynasty. Now she is trapped into the body of another woman, a teenage girl, to be exact. She is aware of the fact that she is in the body of her old incarnation, she knows it’s better for her not to get involved in dangerous palace intrigues. However, she can’t help but be involved in the struggle for the throne. First of all, the reason for this is her big love for someone. If you like strong female characters, if you are looking for an amazing plot worth your attention, and, what’s important, a real roller-coaster ride of emotions, you can’t skip this! There are so many emotions, that you won’t be able to gather yourself after finishing it! From a young and stubborn slave girl to a strong, powerful woman, Fu Yao grows as a person and it’s perfectly seen in the series. Legend of Fuyao is adapted from the novel Empress Fuyao by Tianxia Guiyuan and is set in the universe of 5 kingdoms. After some accident, the slave girl sets on the journey across all kingdoms to find a way to set herself free from an evil curse. Along the way, there’s a lot of romance! Expect many action scenes, palace intrigues, adventures, and a wonderful love story! Are you looking for an intense Chinese drama with both screenplay and cinematography blowing your mind? Well, then Nirvana in Fire is your cup of tea! 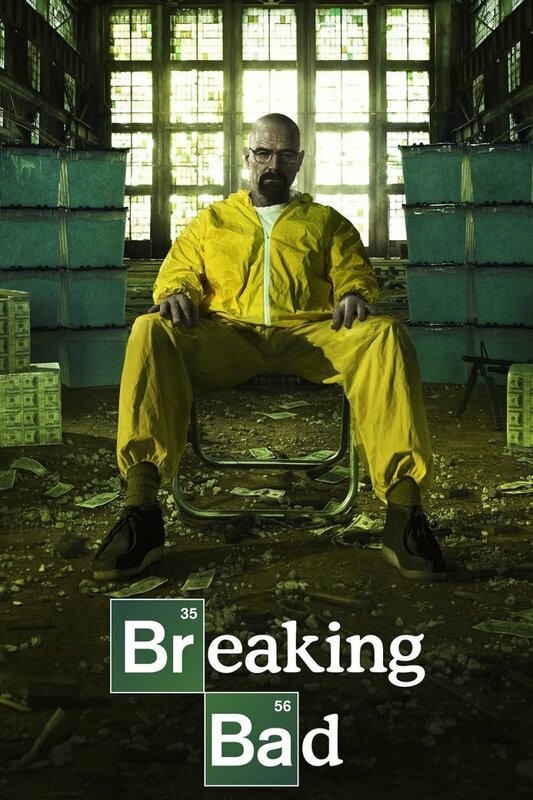 Often compared to Game of Thrones, the extremely popular American TV show, it’s loved by millions of fans! It’s the story of a cruel betrayal and of how one wants to make sure every traitor pays their price. 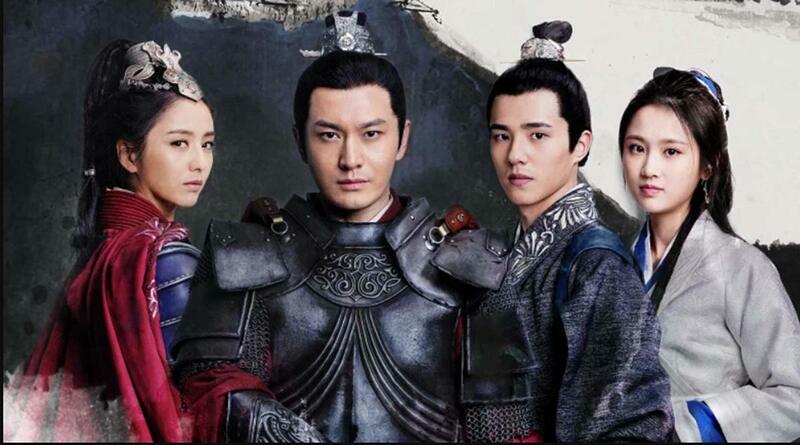 The series is set in one of the most chaotic period in China’s history, when the country was divided between Northern and Southern dynasties. What Is Your Favorite Historical Chinese Drama? 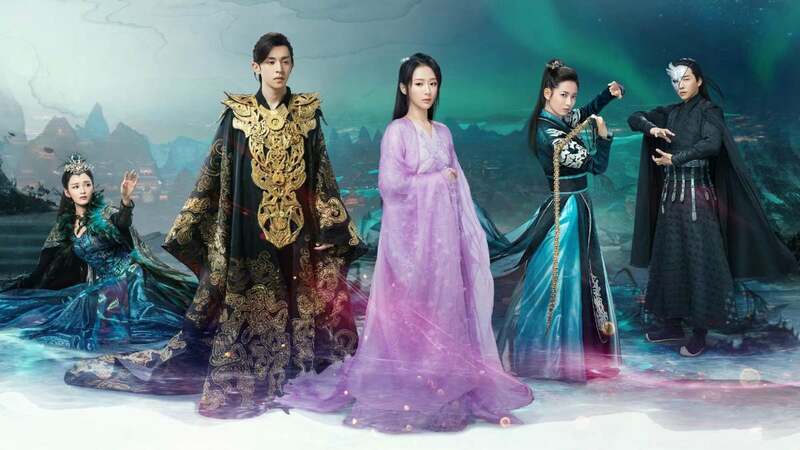 Goodbye My Princess n Story of Ming Lan were 2019 best drama so far.. you should put them in ur list. i love to watch chinese historical drama..
Story of Ming Lan is also amazing. It's one of the best drama's I've seen so far (and I've seen a lot!). It starts slow at first, but that is needed to understand the environment Ming Lan grows up in. You have an impressive knowledge of Chinese dramas.